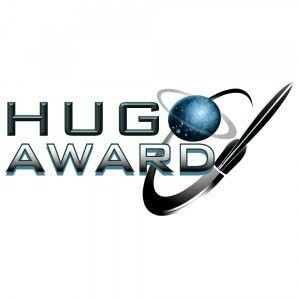 There’s just over two weeks until the deadline to get in your Hugo nominations! By long tradition, here are the things I’m nominating for Hugos this year. Kinda like a “short story recommendations” thing. Due to the Puppies fiasco of last year, it has become fashionable to give a recommendations list of 10-or-so works, rather than just 5, to avoid allegations of pushing a slate. This is an admirable thing for people who have opinion-setting influence. My readership is miniscule compared to those sites who have to worry about this sort of thing, and my readers aren’t the type to vote a slate anyway. I would be shocked if I had any measurable impact on the Hugo process, so I’ll just stick to what I’ve been doing. Caveat that I am not widely read in the short-fic department. The people who really do have influence in this sort of thing read 500+ works a year(!!). My reading is in the mid-double-digits. Most of what I’ve read is either recommended to me by friends, or authors I follow, or collected from one of the recommended-reading lists of those other people, or just stumbled upon by pure dumb luck. As such, I’m sure there will be amazing things I just haven’t found. But this is what I got. 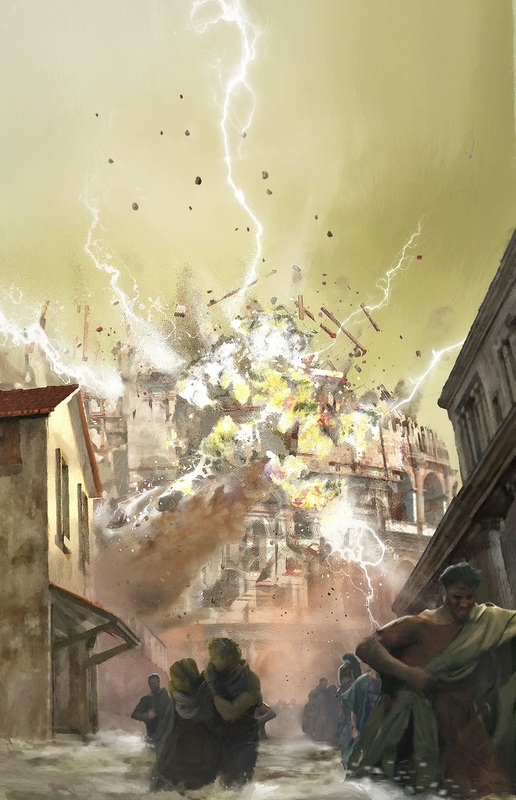 Three Bodies At Mitanni, by Seth Dickinson (text not available online). Easily my favorite pick. So good I podcasted it (w permission of course). Rationalist Fiction, contains a Molochian society, and by one of my favorite short-form authors in the world. I’m somewhat worried it won’t get recognition due inferential distance. …And I Show You How Deep The Rabbit Hole Goes, by Scott Alexander. Again, Rationalist Fiction, but this time of the comedic variety. Displays Alexander’s trademark wit and humor with a fantastic twist. Despite being self-published, this story has gotten lots of attention from the traditional SF-sphere, so I have hopes it can break in! To Fall, and Pause, and Fall, by Lisa Nohealani Morton. Art in the near future when humanity is juuuuuuust at the edge of becoming Transhumanity. It’s not Rationalist, but I feel it’s adjacent. The tension is amazing, my pulse kept rising throughout. I’m going to look up other works by this author and possible start following her. Tea Time, by Rachel Swirsky. Rachel again puts out a masterpiece. This is surrealist story, appropriate for the Alice In Wonderland setting. It’s about relationships, and change, and moving on, and hurt. It is poetry. Tomorrow, When We See the Sun, by A. Merc Rustad. A science-fantasy story, WarHammer 40K-esque, and again a bit surrealist. I like this sort of thing when it’s done well, and to my taste this was well. I felt like I was high while reading it, and any story that can have that sort of mind-altering effect on me just via words is worth my vote. And Never Mind the Watching Ones, by Keffy R. M. Kehrli. This is a song of teenage isolation and modern day existential angst. This is the story of my teen years. This is the sort of thing I wish I could write. 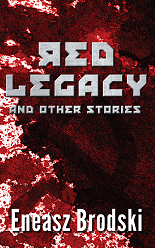 It was kinda hard to get into at first, but the mystery kept pulling me from section to section like a snared fish, and by the time I got to the end I realized it wasn’t the point anymore, and I was happy to be in the story. It was fulfilling. The Long Goodnight of Violet Wild, by Catherynne M. Valente. It’s almost impossible to be an SF writer and not have a writer-crush on Catherynne Valente. Her work is always gorgeous, deeply emotional, and often transcends the medium. She doesn’t write stories. She bleeds out poetry that tells a life, with a plot and characters, that slyly hides behind a mask of prose. Often surrealistic (I’m seeing a trend in my taste this year), and this story is no exception. Novella – didn’t read any this year. Crystal Society, by Max Harms. Rationalist Fiction. The book applies Society of Mind theory to AI development. The story uses social manipulation/interaction as the primary plot drivers and conflict-resolution mechanisms! I love the protagonist, Face, who is everything I could ever hope to aspire to, and more. The main character is part of a hive-mind that lives in an android Body, and must somehow convince the humans around it that it is a person or risk being mutilated or killed. The ending is a little disappointing, but the strength of everything up to that point makes it more than worth it! Harry Potter and the Methods of Rationality, by Eliezer Yudkowsky. (also available in audio) Also Rationalist Fiction. If you haven’t heard of it yet (unlikely if you read my blog) it’s an alternate universe story, where Petunia married a scientist. Harry enters the wizarding world armed with Enlightenment ideals and the experimental spirit. It’s delightful and fantastic and heart-wrenching. It’s also not to everyone’s taste, but many people who do like it, REALLY like it. Like, a lot. I’m among them. Here’s a FAQ to explain that yes, it’s eligible for the Best Novel category. I didn’t read enough traditionally-published books in 2015 to find more than one that I really liked. I expect I’ll enjoy Ancillary Mercy, Fifth Season, and Radiance, when I get to them. I will likely nominate The Traitor Baru Cormorant, even though I didn’t enjoy it as much as the story, because I feel it deserves the recognition that the short story should have received, but didn’t since it wasn’t well known enough. The novel got much more publicity, and it’s possible Dickinson will finally get the kudos he deserves. Best Fan Writer – Normally I don’t nominate or vote in this category. Some people have said they aren’t convinced Harry Potter and the Methods of Rationality fits in Best Novel (for a variety of reasons), and are nominating Eliezer Yudkowsky as Best Fan Writer instead. I am definitely nominated HPMoR for Best Novel. But I’ll also nominated Yudkowsky for Best Fan Writer as well, to cover my bases. It’d be tragic if he got neither because the vote was split. L And fortunately there’s no reason you can’t nominate in both. Welcome to Night Vale: Surrealist audio fiction twice a month. Lovecraft-meets-A-Prairie-Home-Companion. X-files-meets-community-radio. Seriously, this is a HUGE phenomenon, how has it NOT gotten Hugo recognition yet? It’s downright embarrassing at this point. Writing Excuses. Because I listen to it constantly, and always find it inspiring. The Skiffy and Fanty Show: I’ll be honest – because a friend of mine works there (not for pay, of course. The whole thing is a work of passion), and I have empty slots in my Best FanCast nominations. It’s also a pretty good show, but I don’t have the time to listen to it regularly. If I have a spare slot to support a friend in a good production, I’m going to use it. Harry Potter and the Methods of Rationality, The Podcast – This is the audiobook of the HPMoR novel, which was released as a podcast across nearly 5 years. I hope everyone enjoyed it! I’m curious, have you asked if you could do an audio version of “… And I Show You How Deep the Rabbit Hole Goes”? I think that would be awesome. That story was fascinating and hilarious.